We'll It's the biggest shopping weekend of the year, and Happy Quilting is jumping in with an amazing Pattern Sale!!! 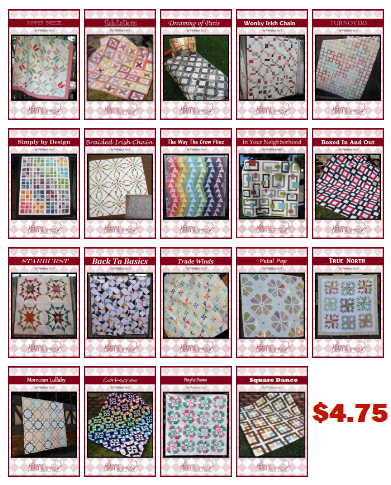 From today until Cyber Monday, all Happy Quilting Patterns will be marked down from $8.50 to $4.75!!! 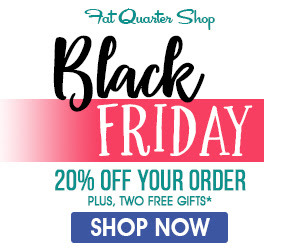 Fat Quarter Shop is offering 20% off store-wide for 2 days only!!! No coupon necessary :) They are also have multiple amazing Flash Sales and Free Gifts with qualifying purchases!!! Green Fairy Quilts has a special sale for each day of the weekend. On Friday, all Fat Quarter Bundles will be 35-50% off. On Saturday, all Quilt Kits will be 35-50% off, and on Monday, all Fat Eighth Bundles will be 35-50% off!!!! All sales end Monday night. No coupon necessary. LouLou's Fabric Shop has marked down over 60 collections, which means hundreds of bolts at $6.50 a yard including Fig Tree, Bonnie and Camille, Lori Holt and so on. Select Precuts are as much as 40% off and Patterns are 25% off. And visit for surprise discounts on ALL Fat Quarter Bundles!!! 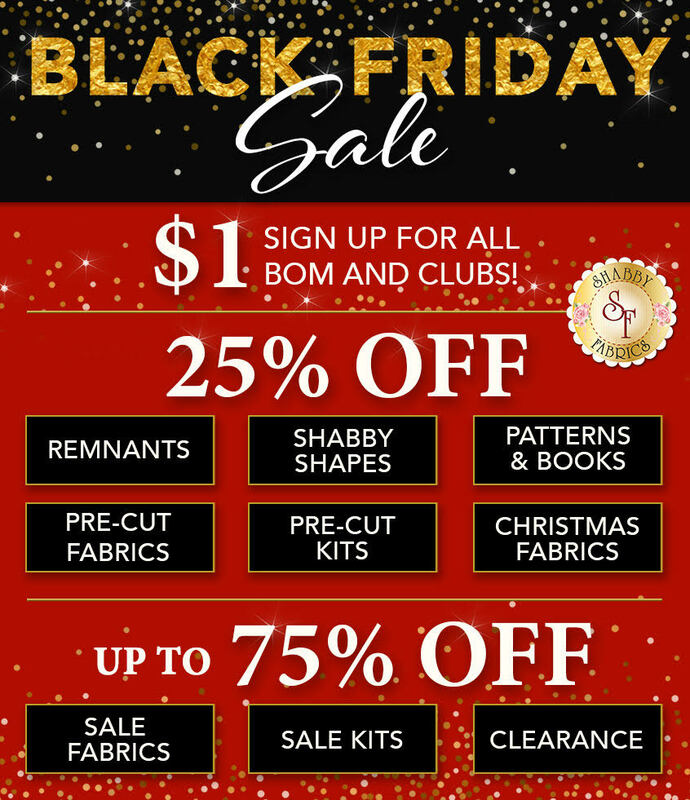 Shabby Fabrics has up to 75% on Sale Fabrics, Sale Kits, and Clearance items. Also 25% off Remnants, Shabby Shapes, Precuts and Kits, Pattern and Books, and Christmas Fabrics. And for the day, all BOM and Clubs are just $1 to sign up!!! The Scarlet Thread Quilt Co. has huge discounts in their Clearance section! !